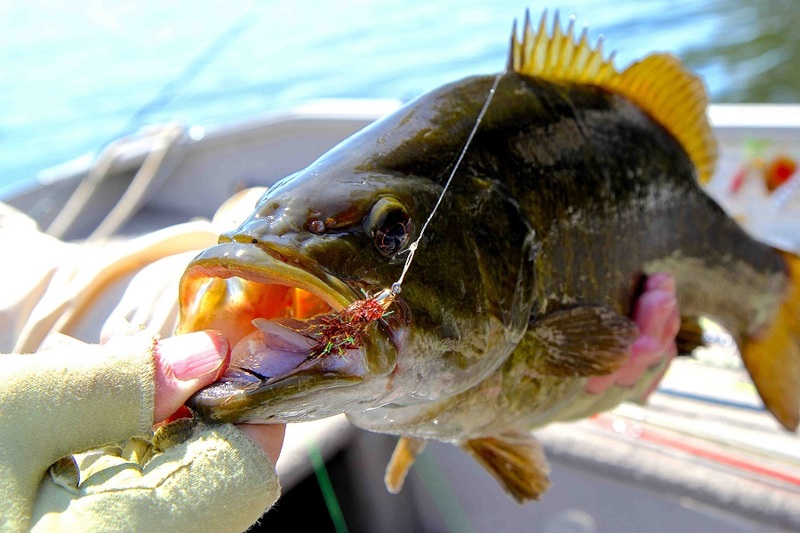 All anglers can agree on one thing, catching big smallmouth bass on topwater flies or lures is the best! 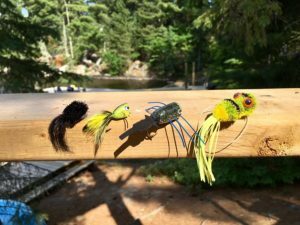 One of the places to find outstanding topwater action is at Dog Lake Resort in Northwestern Ontario. 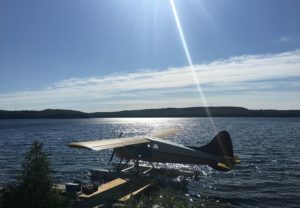 Dog Lake Resort is a drive-to facility that’s not far from Thunder Bay. You can fly into Thunder Bay and rent a vehicle or for those coming by road, it’s only a few hours from the Canada/USA border. Host Bill Spicer had the pleasure of spending four days at Dog Lake Resort last June hunting for big smallmouth bass. 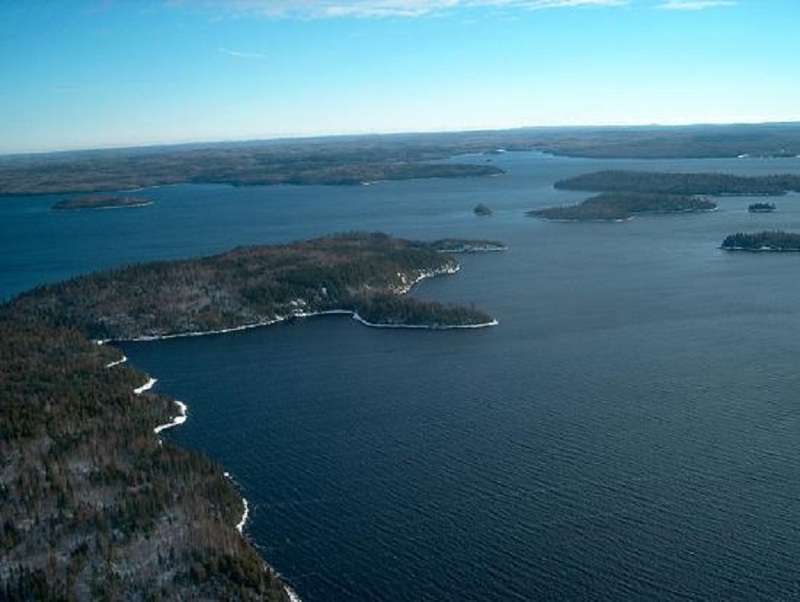 The lake features lots of excellent structures such as rocky points, flats, shoals and beaver lodges. All are magnets for cruising smallmouth bass. At 40 miles in length and with over 500 miles of shoreline, Dog Lake is perfect for smallmouth bass fishing. Bill found that in the early morning the bass were not willing to come to the surface due to the cool air and water temperatures. 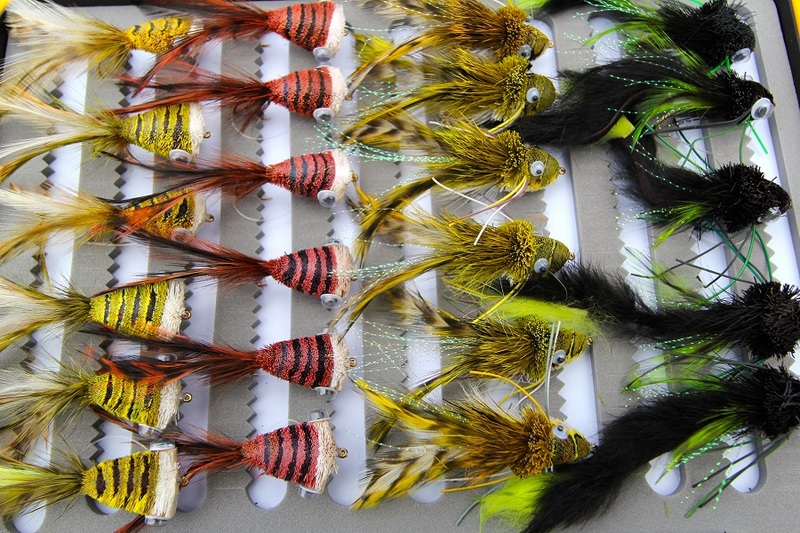 He switched to an intermediate fly line or sink-tip coupled to a woolly bugger and started connecting with big smallies. Once it warmed up, then Bill switched back to a floating fly line and began casting topwater poppers. The action was incredible and explosive! Sometimes the smallmouth would quietly inhale the poppers from below the surface, while other times they jumped on them explosively. The action was intense and fun! 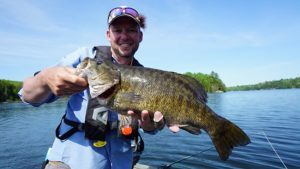 The fish Bill was targeting were post-spawn smallmouth bass that were on the deeper edges of flats, boulder fields and other similar structure. He kept away from the male bass, which were in shallower waters protecting the nests. Weed beds were just starting to emerge and according to his guide, later in the month and throughout the summer excellent pike action could be had around these weedbeds. 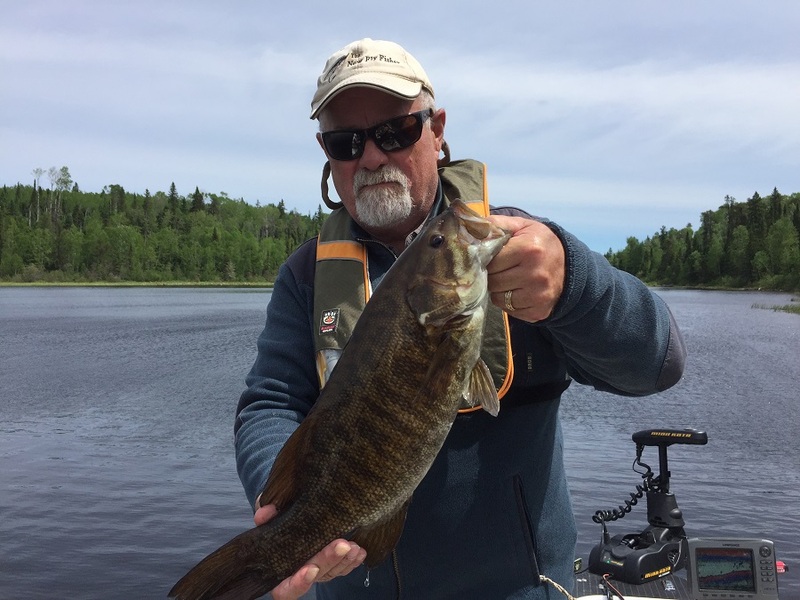 Dog Lake Resort is mostly known for its exceptional walleye fishery but as Bill discovered it also possesses an astonishing smallmouth bass population. 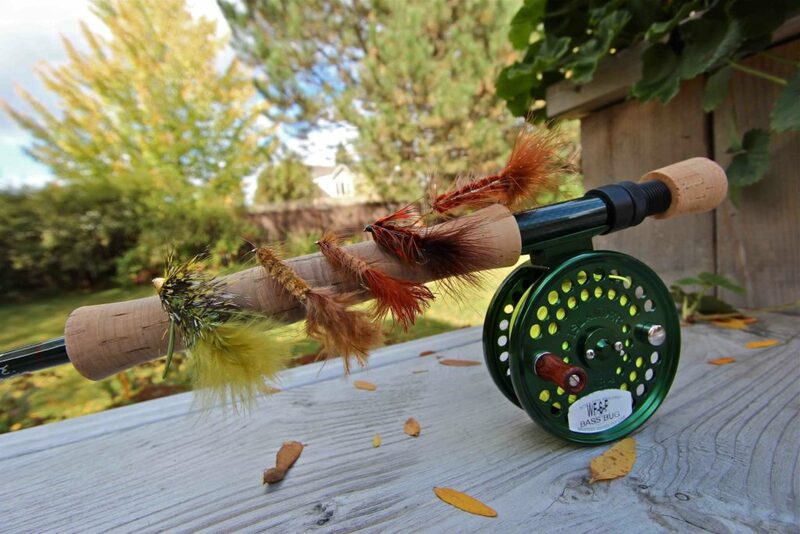 Bill recommends you bring either a 6 or 7 weight rods matched to large arbor fly reels. 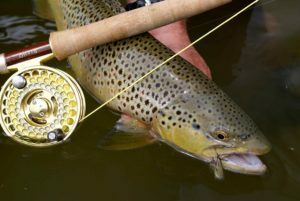 You’ll need WF floating lines and also either intermediate or sink-tip flylines to explore all parts of the water column with your flies. 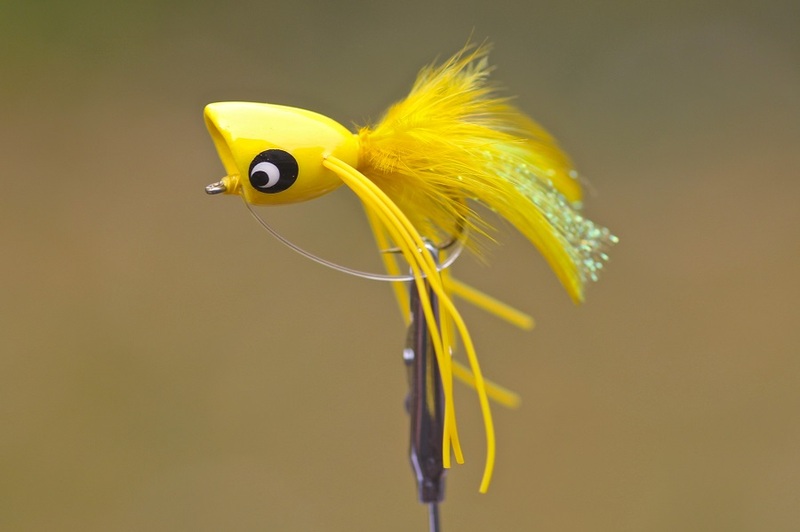 Best topwater flies are yellow, orange and black popper. Woolly buggers with coneheads work exceptionally well in virtually all colours. 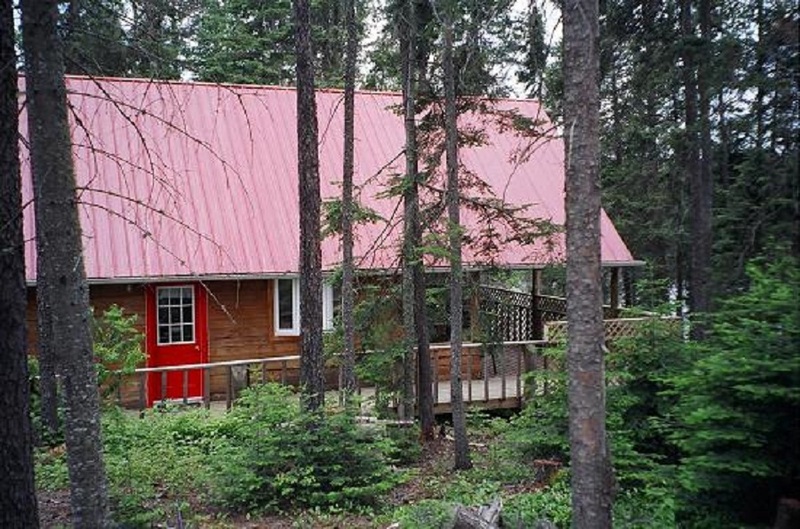 The resort has numerous cabins that are comfortable and roomy, perfect for groups of anglers or families. They also have a wonderful main dining room for those times when you don’t want to cook your own meals. Of course the resort has boats and motors available for rental. 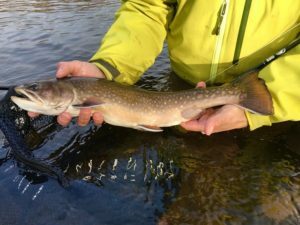 If you are looking for a quality fishing experience, easy access and affordable prices, then we strongly recommend you check out Dog Lake Resort.